Comprising over a million TV and radio programmes from the entire BBC Digital Archive covering all broadcast material dating back to 2007. The archive is also currently being backfilled by the BBC with a selection of content dating back to 1989 and, of course, updated on an ongoing basis with all ongoing programming. 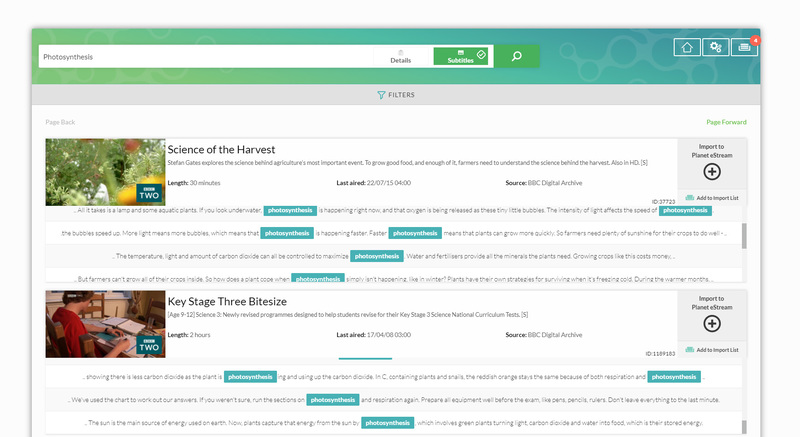 Unlike other platforms, Planet eStream enables educators to easily search and filter the archive independently, instead of having to request items. Your selected content is then automatically downloaded directly to your own Planet eStream media library. This direct access to the content is completely unique to Planet eStream and makes this extensive archive much easier to navigate. This great resource includes over 550 items from the BBC Shakespeare Archive such as plays, sonnets and documentaries dating back to the 1950s, an excellent resource for English Literature educators. 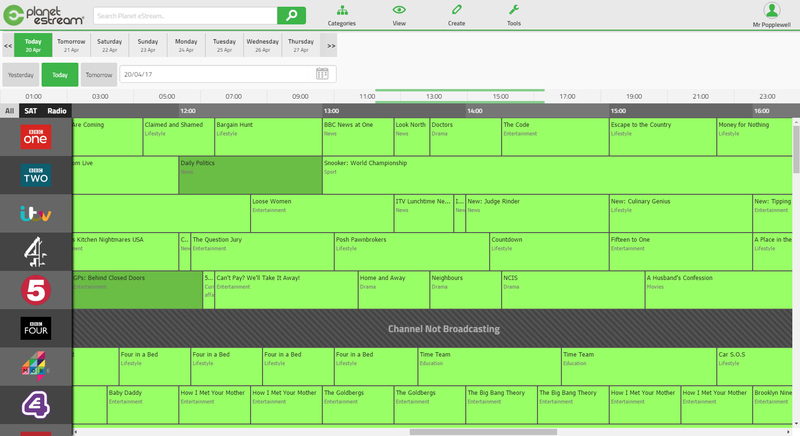 As part of the Planet eStream Connect Service, we also offer a TV and radio recording service via our cloud-based TV Scheduler. Using this service, you can quickly and easily build up a library of great television and radio programmes by adding content from 79 free to air TV, radio and satellite channels. The Planet eStream Connect Service aggregates all Freeview TV and radio broadcasts ever recorded by members of the Connect community dating back over a decade. There are currently over 2,000 educational organisations using Planet eStream to enhance their digital learning provision ranging from Secondary right through to higher education. The ability to access such a comprehensive and diverse pool of educationally rich broadcast content provides a fantastic resource for your educators. The Planet eStream user base Freeview archives, alongside the BBC Digital archive offers one of the largest Freeview TV archives available to educators in the UK. Further education colleges who are members of the Blended Learning Consortium can find subscription BLC content to add to their media libraries via our dedicated Blended Learning Consortium Channel within the Planet eStream Connect service. As well as being able to search for known programmes users can also utilise keywords to search the entire archives subtitles. 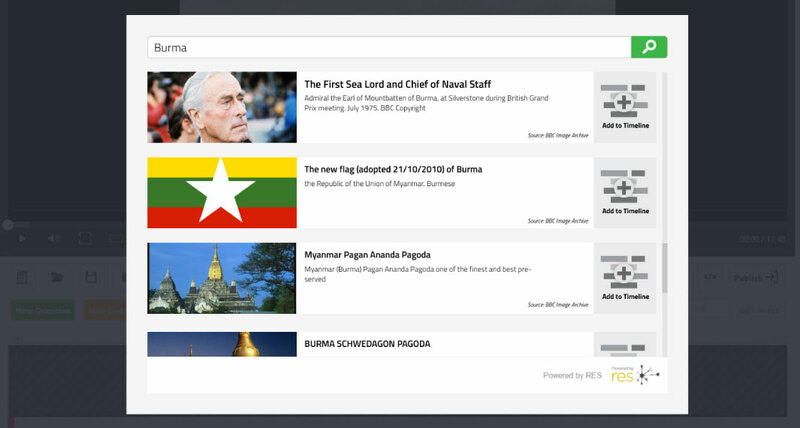 This is an incredibly powerful tool, enabling educators to quickly discover new content to support their teaching. 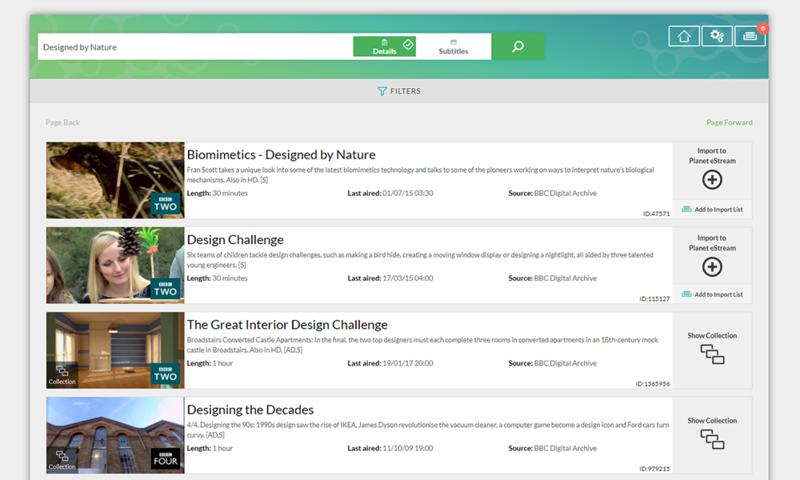 The BBC Research and Education Space (RES) Project is a platform built by the BBC that indexes and organises the digital archives from libraries, museums, broadcasters, and galleries to make their content more discoverable, accessible and usable to those in UK education and research. As part of our ongoing commitment to development, we have been working closely with the RES team at the BBC to provide integrations with RES. For more information please see the following RES Blog. Currently, users can create image galleries powered by RES, and also search for images and include these as related media items in Planet eStream. Watch our short promotional video on our integration with the BBC RES project to create RES powered galleries and related media. *Free access to the Planet eStream Connect Service requires a valid Planet eStream licence that includes the Freeview Scheduling hardware for locally hosted systems or access to the Freeview Scheduler on our Cloud Platform for hosted systems.